After being delayed last October, the next installment in the Yo-Kai Watch video game franchise - Yo-Kai Watch 4 - arrives this spring in Japan. To help build hype, Level-5 has released a new trailer for the upcoming Switch release at World Hobby Fair 2019, currently taking place in Nagoya, Japan. Unfortunately, there's no word on when this game will be released in the west. The third entry - Yo-kai Watch 3 - was first released in Japan in 2016 and was recently made available in Europe at the end of 2018. 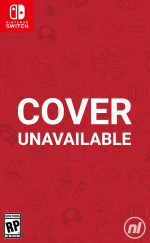 The US release of this 3DS title is due out next month on 8th February. Are you looking forward to the Switch Yo-Kai Watch game? Have you played the third one yet? Tell us below. So... this is the Switch version of Ni No Kuni, right? I saw some cuteness over there before a little nightmare after the portal from the future (Yokai Watch Shadow) opened. Except that annoying voice, it looks pretty cool! I like this. Might pick it up when it finally comes westward. Looks great , I cannot wait. I wonder if Level 5 will pack even more content into it than into YW3. I really don't understand the hype behind this game, or the series in general. It looks a lot like Ni No Kuni, minus the English accents and Ghibli art. I guess they're getting their money's worth from the engine. ....so Ni No Kuni is coming to the Switch when? 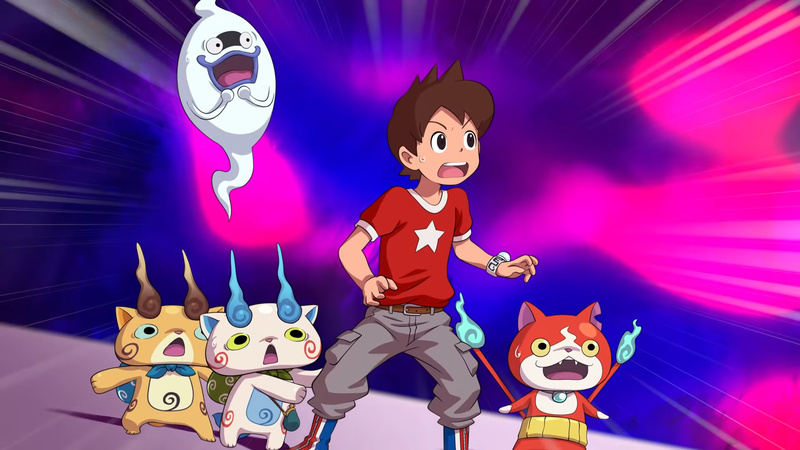 English version in 2022 , a 3 years delay for the English version like all other Yokai Watch games. Hope level 5 make this super fast to the West! I honestly have no idea why it takes them two to three years to translate these games. I really, really like the way this game looks! I hope they don´t take ages this time to bring it to the West! Looks gorgeous. It kinda seems like a remake of the first game based on that ad which if it’s not is a weird choice. Please don't take three years with the translation this time. I want this! @alasdair91 I don't know how successful these games are in the West, but pretty sure in this case Japan is seen as the priority, as that's where the biggest market for it is ? Also, if the dialogue in the game has idioms or such, it takes more work to translate them. It's actually a longer process than you'd think. And it might not actually even be done in-house. And I am saying this as a person who has done translation, pretty much my entire life, but from Chinese to English. would love to see Pokemon take this direction in terms of overworld. This looks really good. I hope it comes west this year. Edit: Also, why compare this to Pokemon? Yes, this series was supposed to be similar, but Pokemon is still stylistically different from these games. @emaan This. If the 2019 game doesn't look comparable to this in terms of graphics or map design, it's going to be extremely disappointing. This is what a console game should look like. It looks good, but still a lot of frame drops. Hopefully that will be fixed before launch. I loooove the Yo-Kai series. I have all of the games on 3DS and I love them. But this one, wow. It looks fantastic. Oh my Gosh! This looks so darling and cute. I love it! I bought Yo Kai 1 for 3ds way back and couldn’t get into it enough. Now this right here looks more like something I can get into! Please come west! I've never played a Yo-Kai Watch game, I ended up giving my 3DS to a close friend after he had to sell his, but I've always wanted to check them out and am really looking forward to this one. I'm trying not to get too hyped though, since we usually don't get these games until a few years after they hit Japan. @Joeynator3000 Yokai Watch 3 was two and a half years ago. I'd be much more impressed and excited if I hadn't been severely let down by Ni No Kuni 2 last year. I don't think I'll give it a go unless word of mouth becomes incredibly positive, and especially so when it comes to comparisons to NNK. Can't help but wonder what a proper Fantasy Life sequel would look like on Switch. That would be my dream Level-5 project right now. Amazing. Ninokuni 2 was one of my favorite games of 2018. Really felt like playing a beautiful cartoon. And still have my Season Pass to play. Jump to Switch in 2019 for more Level5 goodness - well hopefully. @ricklongo I guess I can't blame you for being cautious, but the Yo-Kai Watch games have all been fairly well received and there's no reason to think Level 5 is gonna screw it up now. The thing with Ni No Kuni is, Studio Ghibli was heavily involved in the production of the first game, but not the second, which might be a factor in its being a disappointment to some. There's no such major change between Yo-Kai Watch 4 and previous games to suggest this one will have a drop in quality, but I guess we'll see. Prolly coming westward Holiday 2022 or something. @Rafke the game oozes charm (humor, quirky creatures, a lot of animal crossing like bug collecting etc.). And I always love the setting of Japanese schools, and villages. The battle system is pretty different, but keeps you busy. It's relaxing, it's fun and the world feels really alive. My kids love Yokai-Watch and had all the 3DS games, but this is the first time I’m actually looking forward to one of the games myself. It looks great and the change in combat mechanics has picked my interest. For those doubting the game will be released this year in the West, I understand you but, at least, you can be sure this game will make it to the West even if it’s later. I’m still very salty because some games I really want won’t be coming to Japan at all. Vampyr, Aragami and, specially, Mortal Kombat 11 are games I can’t wait to play but will never make it to Japan. I’m specially angry with Warner for not bringing Mortal Kombat here for the third (maybe mire?) time in a row. Oh cool, you can control your partner yokai. The other trailers I’ve seen never showed that. The battle system reminds me of Ni no Kuni, which is a good thing imo. Oh dayum, a game to look forward to on the Switch that isn't made by Nintendo! Assuming it gets a Western release. This game looks unbelievably great. Big step up from the 3DS games. @Rafke Well, that's simply a matter of opinion. Personally, while I'm looking forward to this, I still need to finish the first 2 and get 3. @Radbot42 There is only one version. Accept the fact that Level 5 has no interest in earning your money. If they wanted they could have included an English option into the game and no it's not difficult to do the translations at all. I like YKW but this discrimination towards non-jap audience has to stop. I’m really liking the look of that action-based combat as the simplistic combat in 1 & 2 was my least favourite part of the game. I’ll definitely be picking up 3 next month, but man oh man, I am hoping Level-5 won’t take three years to bring this one westward. Am I holding out too much hope that its listing on the JP e-shop will have English as an option? Yeah... that’s too much hope. Yep really keen to check this out. Looks promising. Seems kind of like a continuation of the first game with extra characters, which is cool as I have no plans to touch the other 3DS sequels. Never played or wathed this series. I enjoyed Ni No Kuni which appears to have a similar battle system. Do I need to have played any previous entries to get into it? @ricklongo what were you let down by? I ordered it on Saturday and can't wait to get stuck in. Loved the first one, and I understand it's completely different to the second, but I prefer the fast paced melee combat anyway. Reviews have been unbelievably positive so I'm curious to know what you didn't like? @Scottwood101 I though the game suffers from extreme bloat - like, almost half of the in-game mechanics are are just meaningless chaff in my opinion. It also has the worst story I've seen in a narrative-based game in a long time. All personal opinion, of course. YMMV.